'From the South Wind; and God took a handful of the South Wind and he created thee. He said "I give thee flight without wings"
Hand signed and Hand numbered. 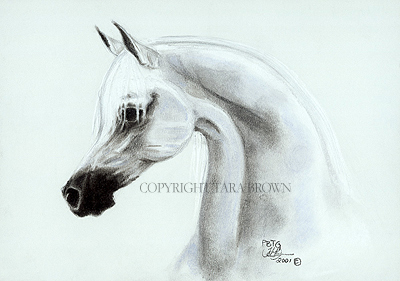 Original Pastel painting is proudly hanging in a private collection in Kuwait. framing is an optional extra. 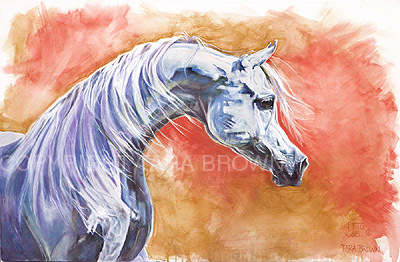 The Original Painting is available for purchase. 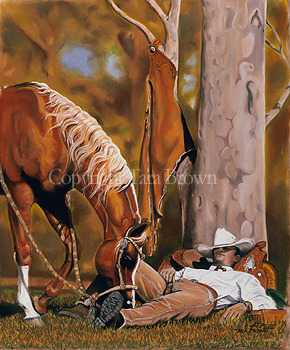 AU $550 each unframed print. 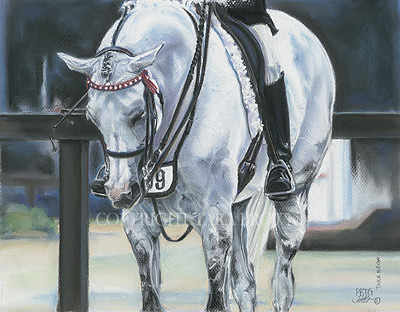 The Original Pastel Painting is proudly owned by Future Farms, Australia. AU $350 each unframed print. 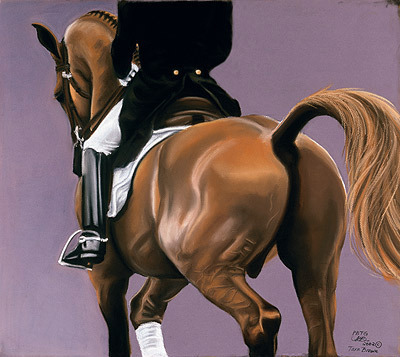 The Original Pastel painting is in a private collection in Australia. Reference photography Jerry Sparagowski . 67 cm x 55 cm unframed. 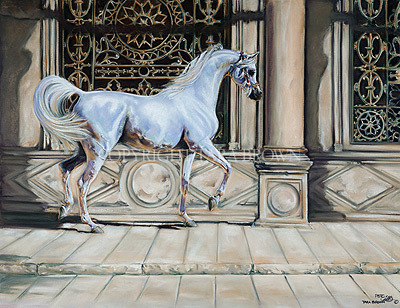 The Original painting is in a private collection in Australia. 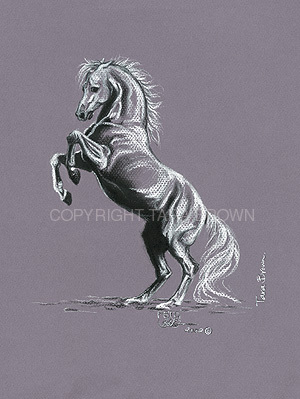 Study, in pastel, of rearing horse. 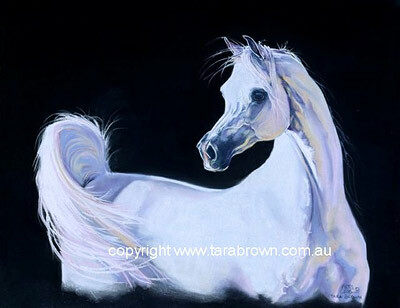 AU $90 each unframed print. 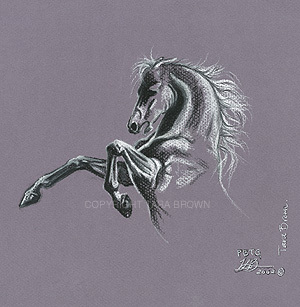 The Original Pastel is available for purchase. AU $650 each unframed print. 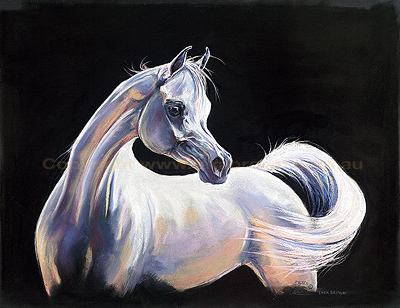 'True Colours' a Pastel Painting. 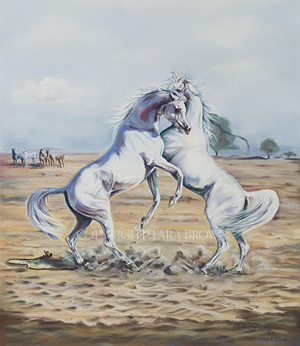 The Original Pastel painting is proudly owned by Mr. Talal Al Kharafi, Kuwait. fighting for the herd of mares in the desert. 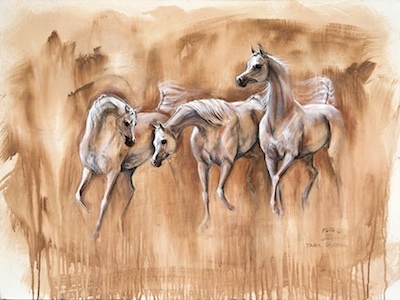 The Original Pastel Painting is proudly owned by Etaya Egyptians, Canada. 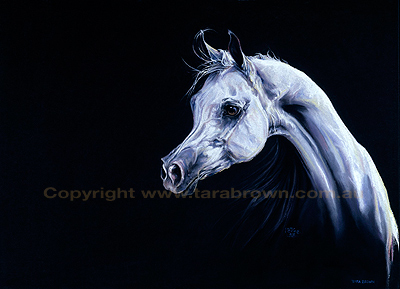 AU $150 each unframed print. 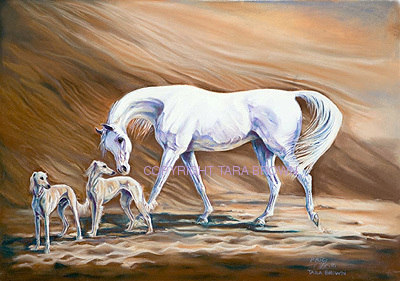 Available beautifully framed, please contact Tara for details. AU $2,000 each unframed print. 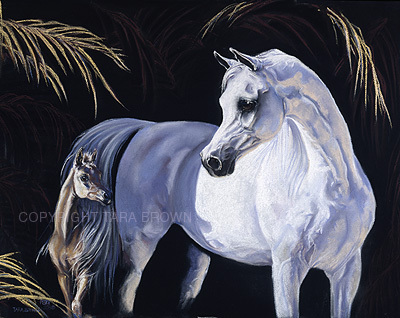 The Original Pastel painting is proudly owned by DeShazer Arabians, Texas, USA. 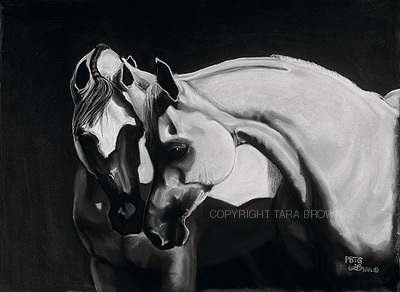 Tara donated the Original painting, 'In the Night', to The Pyramid Society in 2004 and sold at Auction for $25,500.00USD. It was received with extraordinary excitement and interest and breaking records for the highest price ever paid for an artwork in the long history of this auction. Cementing Tara's reputation as an exceptional artist internationally. 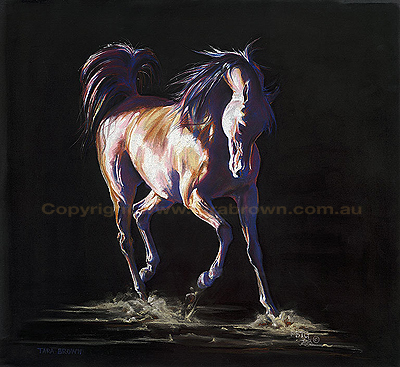 AU $330 each unframed print. 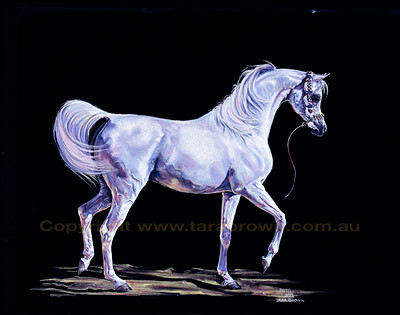 The Original Pastel painting is proudly owned by Saba Arabians, Australia. 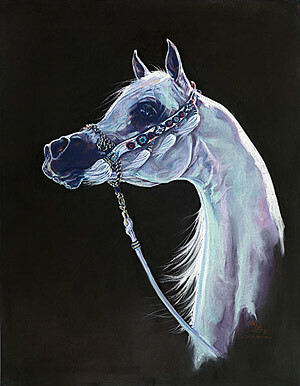 "Portrait of Thaqib Al Nasser"
AU $440 each unframed print.